Zidane resigns as Real Madrid coach – Royal Times of Nigeria. 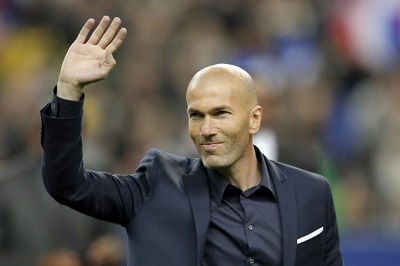 Real Madrid coach Zinedine Zidane announced today that he is leaving Real Madrid in a surprise move announced just days after winning the Champions League for the third year in a row. The forty-five-year old Frenchman during a press conference said he has taken the decision to discontinue next year as Real Madrid coach also saying he is not looking for another club to coach. In a statement, he said the club deserves to continue to win and needs a change he said, adding that he believed the moment has come and after three years the club needs another method of working. Zidane who was under contract with Real until 2020 said he had a lot of time to think about this decision and can’t go back on it. Real beat Liverpool three-to-one in the final in Kiev on Saturday, making Zidane the first coach in history to win three successive Champions League titles.